What is needed to be prepared for the workshop, is Linux laptop with Ubuntu 14.04.4 LTS (Trusty 64bits), with ROS Indigo and Gazebo5. 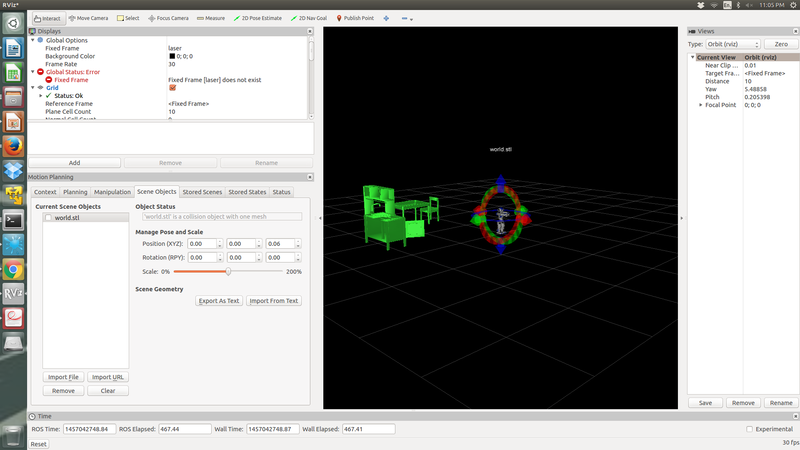 On top of that you have installed the GazeboUSARSim plugin and the Matlab Robotics System Toolbox. On this page we assume that you installed those packages following the previous instructions. To have multiple robots in their own namespace, you could follow the instructionof the pioneer3at_demo provided by Stefan Kohlbrecher and Nate Koenig. Yildiz demonstrated that this worked with their example code. What is needed for to control a real robot is a working version of the simulation of a Nao robot. If this works, the NaoQi Python bindings are correctly installed. Continue with the ROS packages for the Nao robot. You should be able to see the camera image inside rviz. If you like to have fun, try to plan to grab the door with the Nao robot or to recognize a tomato. Alternatively, try rocon gateway, multimaster fkie or topic proxy. If this communication works, it could be included into a new version of the Rules.